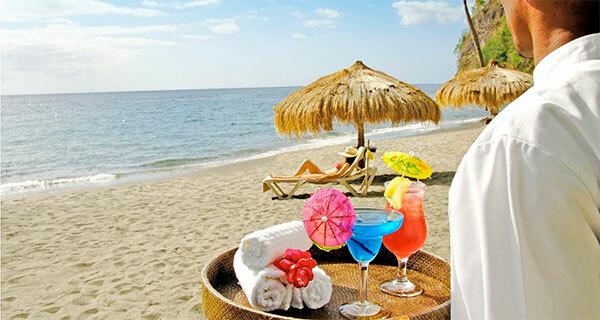 Anse Chastanet, one of the Caribbean’s most picturesque and romantic resorts. 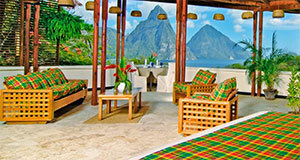 It’s hard to imagine anywhere more lush than the southwest coast of St. Lucia. 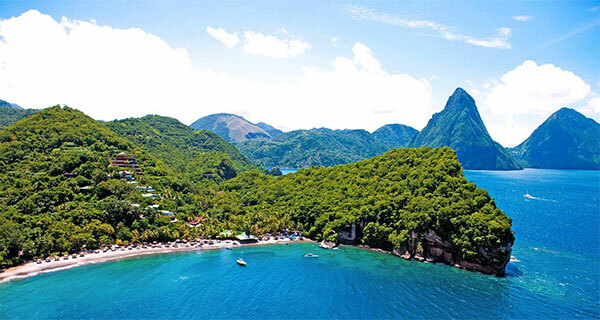 In this wild green land, there are mysterious jungles, steamy volcanoes, secret waterfalls, thick palm forest and most dramatic of all, two spectacular half mile peaks that shoot straight up from the sea known as the Twin Pitons. 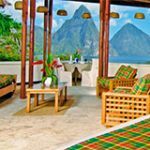 Anse Chastanet Resort’s architecture, landscape and ambiance compliment the island tones with spacious wood beamed accommodations that would make even Mother Nature proud. 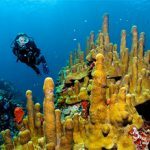 Dive dramatic walls beneath the majestic Piton Mountains in waters abundant with corals, sponges and reef fish with unparallel beauty. 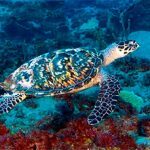 The dives right off the beach are even so spectacular they will have you believing you must be miles off shore. 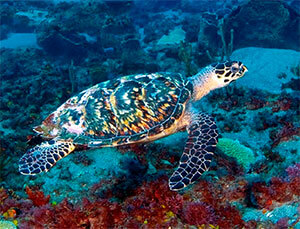 Non-Diver Superior NO AC: $3395 pp or $3295 pp cash/ck. disc. 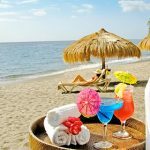 Welcome Cocktail, Managers Rum Punch Party, Mini-sailing, Windsurfing, Snorkeling, and use of Tennis Court and Tennis Equipment, Guided Tour of Old French Colonial Plantation, culinary amenity, use of Beach Chairs and Beach Towels. A current U.S. passport with at least 6 months left before expiration at the time you return home. Please ask about special requirements for children under 18 years of age. A $400 deposit is required to hold your spot. Space is limited: prices are based on double occupancy and are subject to change. Please be aware the airline or operator may impose a fuel or tax surcharge over which we have no control, an additional fee for this maybe charged prior to departure. Single persons signing up will be subject to additional charges. Changes to package and cancellation penalties do exist. 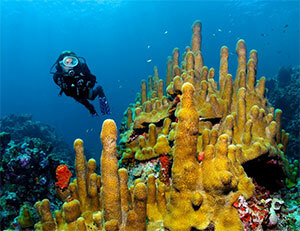 Travel and Divers Insurance is highly recommended.